China has always been gaining the upper hand in doing business with Vietnam. Experts believe that Vietnam has been yielding to the big foreign partner on many issues. China remains the No. 1 trade partner for Vietnam. 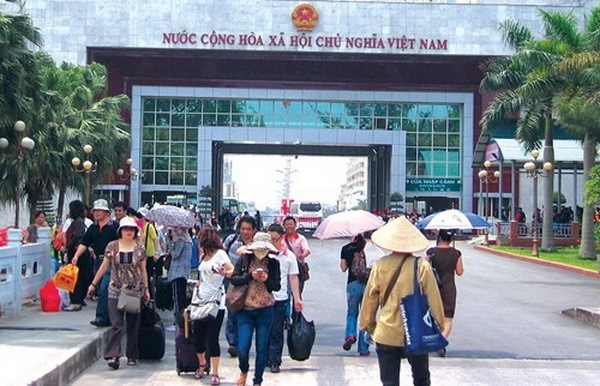 A report of the Vietnam Chamber of Commerce and Industry (VCCI) showed that the two-way trade turnover in 2000-2010 grew steadily by 32 percent per annum. By the end of September 2012, the two-way trade turnover had reached $29.9 billion, of which Vietnam’s exports had reached $9.256 billion. The two-way trade turnover is hoped to hit the $60 billion threshold by 2015. In 2012, Vietnam continued importing electricity from China in big quantities despite the great efforts of developing power plants by domestic investors. Though Vietnam had profuse electricity supply in 2012, Vietnam still imported 2.5-2.8 billion kwh of electricity from China. In 2013, amid the predictions about the electricity shortage in the dry season, the Electricity of Vietnam (EVN) plans to buy 3.6 billion kwh from China. The noteworthy thing is that while EVN only pays little for the electricity it buys from domestic power plants, the Chinese electricity price has been increasing steadily. According to the Ministry of Industry and Trade, in 2011, the electricity imports from China were priced at cent5.8 per kwh. In 2012, Vietnam had to pay cent6.08 per kwh, or VND1,300. Meanwhile, small hydropower plants can sell their electricity at VND800-900 per kwh, and sometimes VND500 per kwh only. Thermopower plants can sell no more than VND1,300 per kwh. The problem is that EVN always has to sign contracts with Chinese power suppliers at the beginning of every year, while it still cannot forecast the domestic electricity demand and supply in the years. As a result, it has to buy the electricity volume it promises, even if the domestic demand can be fed by domestic power sources. A report of the Ministry of Agriculture and Rural Development showed that in 2012, Vietnam exported $10.6 billion worth of farm produce. However, Vietnamese farmers were unhappy because of the export price decrease. Cassava exports increased by 55.2 percent in quantity, but decreased by 16.8 percent in prices. Similarly, the figures were 37.9 percent and 6.2 percent for coffee, 25.6 percent and 15 percent for cashew nut. Especially, Vietnam exported 13.1 percent of rice more in 2012, while the rice price dropped by 7.1 percent. According to USDA, in 2012, China imported 2.6 million tons of rice, which was 4.5 times higher than its imports of 575,000 tons in 2011, far exceeding the predicted level by the UN Food and Agriculture Organization (FAO). China surpassed Indonesia to become the biggest rice importer from Vietnam with 1.43 million tons imported in the first 10 months of 2012. The noteworthy thing is that China still keeps importing rice, while it is the biggest rice producer in the world. Especially, Chinese farmers sell rice to the Chinese government which puts the rice in storehouses, while they buy Vietnamese rice at low prices to use. In mid December 2012, when Vietnam sold rice to China at $410 per ton, the Chinese government paid $635 per ton from Chinese farmers.